Is There Evidence of the Bennett Hypothesis in Legal Education? In what year was the above quote first printed in The New York Times? Given concerns about college affordability and the ever-rising price tag of a college education, it’s reasonable to assume that the quote comes from the last few years. Yet this quote came from William Bennett (who was President Reagan’s Secretary of Education) way back in 1987. Bennett is now a conservative commentator and occasional advisor to the Trump administration, and his higher education views likely get traction in key federal policy circles. Since 1987, what came to be known as the Bennett Hypothesis has been vigorously debated in the research and policy communities. As I detailed in two previous blog posts, the evidence to support the Bennett Hypothesis is generally modest among undergraduate students—with stronger evidence at private nonprofit and for-profit colleges than community colleges. 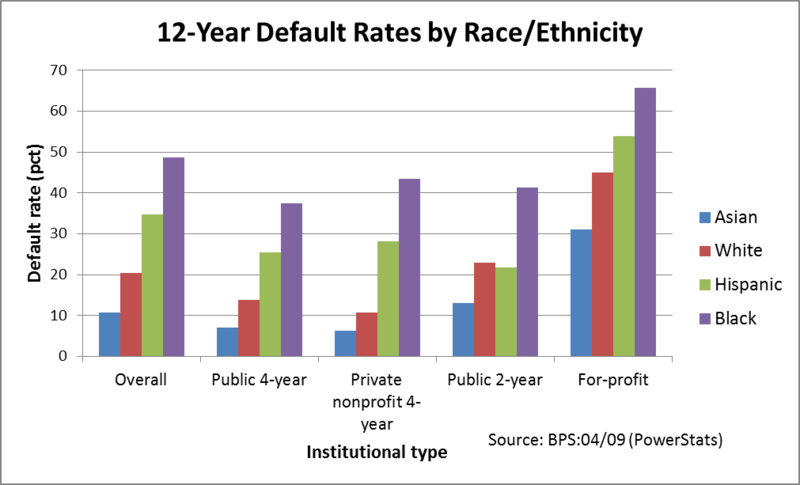 However, prior research often looks at small changes in student loan borrowing limits or Pell Grant award amounts since there have been no large-scale changes in financial aid for undergraduate students over the past several decades. 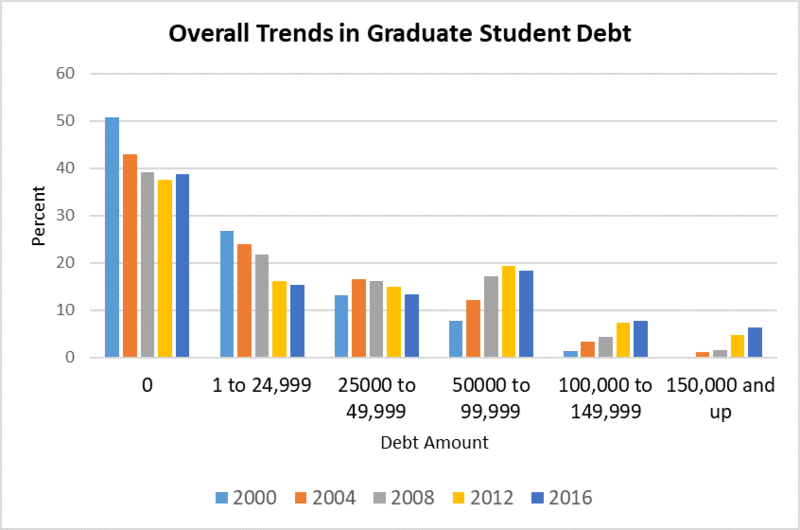 Many graduate and professional students, on the other hand, saw a large increase in their federal student loan limits in 2006 (from $18,500 per year up to the full cost of attendance) due to the creation of the Grad PLUS loan program. This increase, which could be in the tens of thousands of dollars for students, provides a rare opportunity to test how colleges responded to a large change in potential federal revenue. 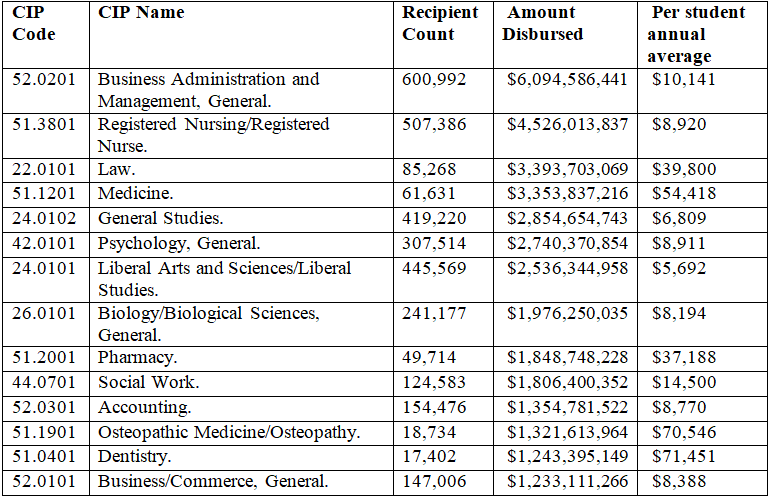 This is particularly salient for students in master’s and professional degree programs, as institutional financial aid is far less common than in PhD programs. Thanks to support from the AccessLex Institute and the Association for Institutional Research, I have spent much of the last year examining whether professional programs responded to the creation of the Grad PLUS program and the following expansion of income-driven repayment programs by increasing tuition and fees and/or living allowances. 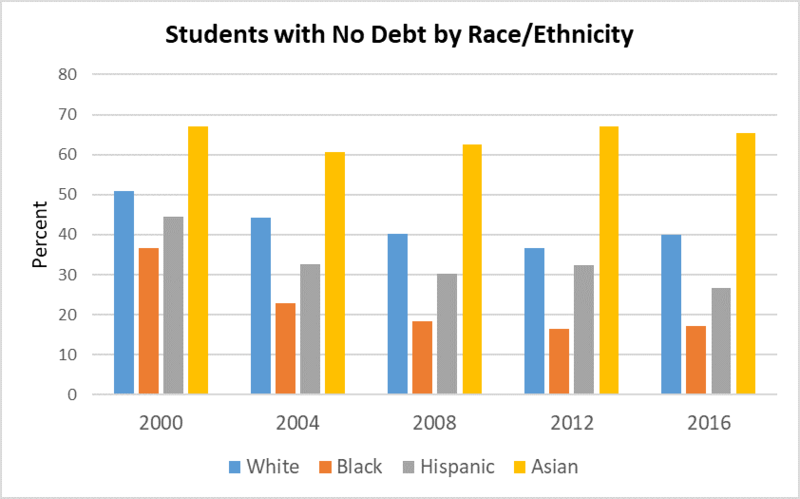 I also looked at whether student debt burdens of graduates increased. Today, I am releasing a SSRN working paper examining these questions for law schools, with additional analyses for business and medical schools to come at some point in the future. In the seven months of tedious data compilation, coding, and cleaning that preceded any analyses (a big thanks to my sharp research assistants Joe Fresco and Olga Komissarova for their hard work! 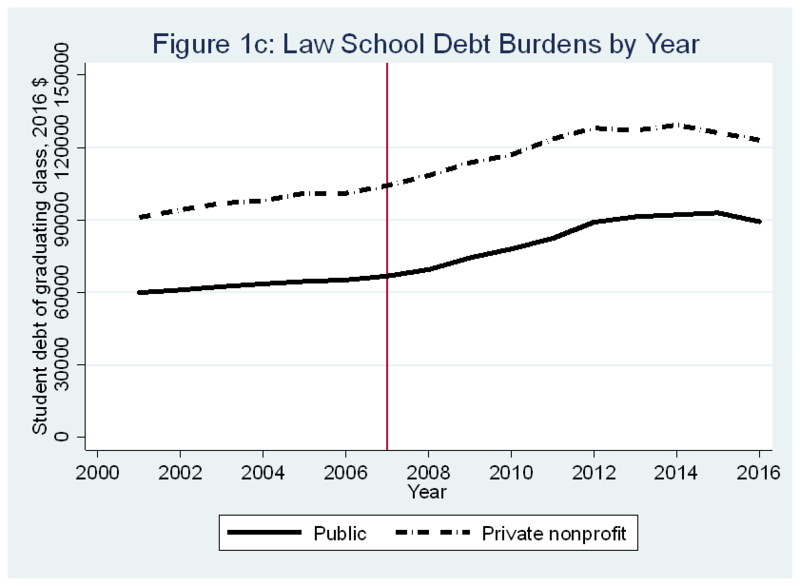 ), I fully expected to find a great deal of evidence to support the Bennett Hypothesis due to the entrepreneurial nature of law schools and the sheer amount of federal student loan dollars that became available in 2006. Yet as the graphics below show, there was no immediate smoking gun in the descriptive data (focus on the red line at 2006). 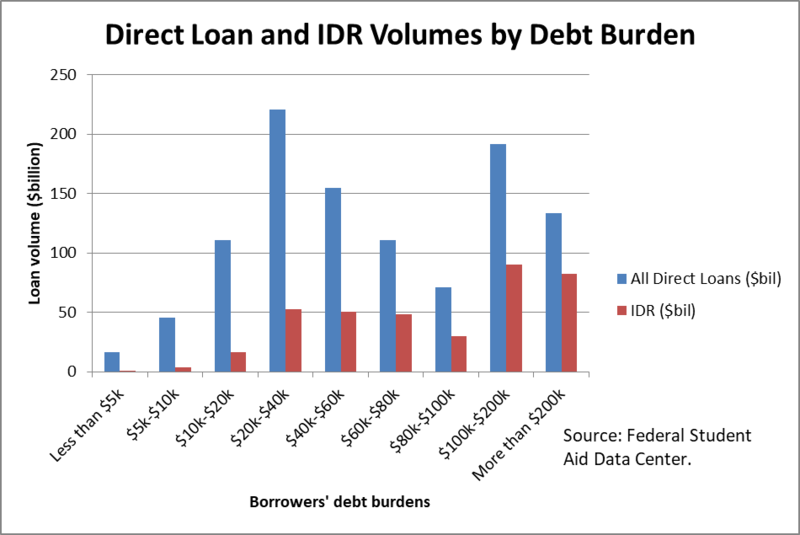 But because graphics do not prove that there is (or is not) a relationship between federal student loan availability and law schools’ prices, I used two analytic strategies to try to draw causal inferences. I used an interrupted time series model that compared law schools before and after the 2006 implementation of Grad PLUS and a difference-in-differences model that looked at the difference between law schools and undergraduate institutions before and after 2006. 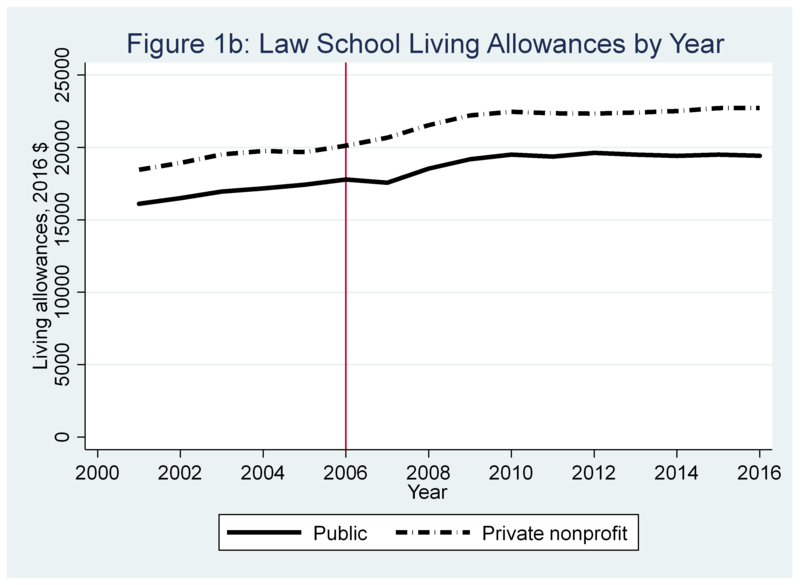 Both of these models showed generally null or small positive coefficients, suggesting that law schools did not react by raising tuition prices or living allowances by massive amounts. (These findings generally match the conclusions from the literature at the undergraduate level, and are robust across a range of model specifications.) Below are the coefficients for tuition and fees, with the coefficients for living allowances and debt burdens available in the paper. So why was there far less evidence for the Bennett Hypothesis than I expected to see? I offer three potential explanations. 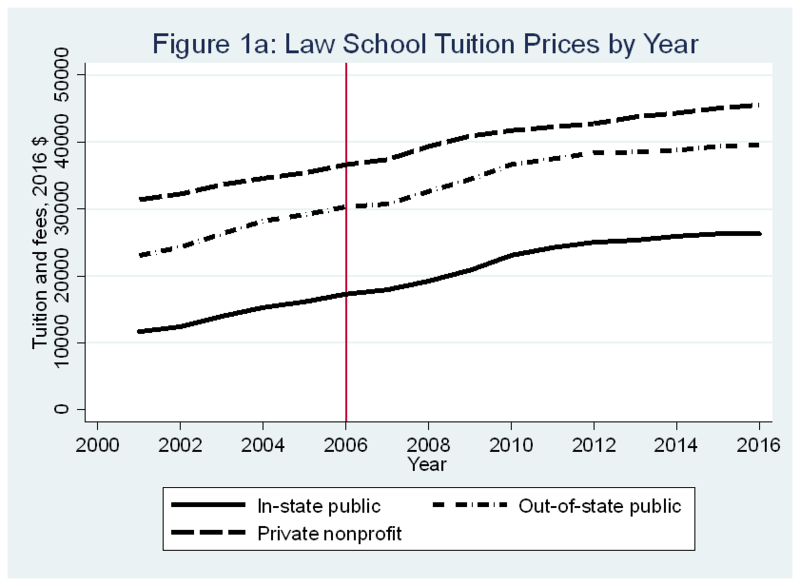 Explanation 1: Law schools didn’t strategically increase prices in response to increased federal financial aid availability. Yes, law school tuition is expensive, and it’s certainly true that colleges have viewed law schools as potential revenue centers. But law schools may have thought that their price increases were already substantial enough to fund their operations. Explanation 2: Any law school that increased tuition by more than their competitors may have seen a decline in applicants and/or revenue. This is somewhat similar to the classic prisoner’s dilemma in game theory, in which cooperating with other players (to raise prices) would result in a better solution than going alone. But to collude here would be price fixing—and illegal. Thus law schools stick to the norm of sizable (but not absurd) tuition increases. Explanation 3: Students shifted from private loans to PLUS loans and thus already had access for loans up to the full cost of attendance. There is some evidence to support this logic, as 36% of law students took out private loans in 2003-04 compared to just 5% in 2011-12. 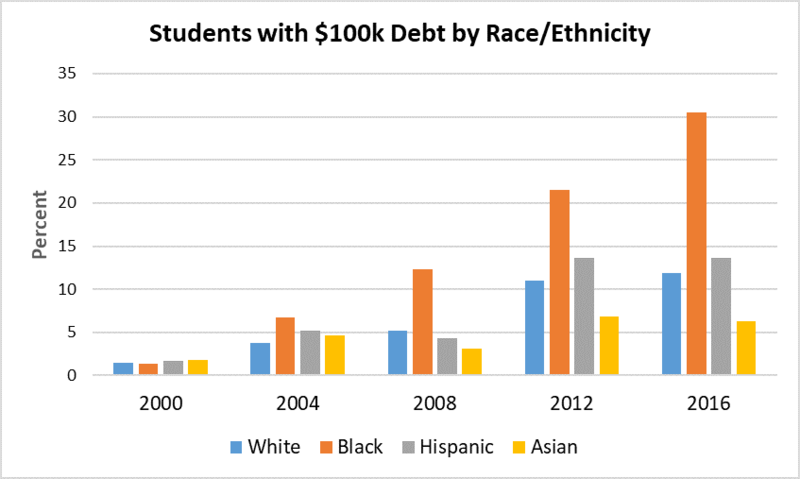 Yet this would not hold for the majority of students who didn’t take out private loans. I would love to get your comments on this working paper before it undergoes the formal peer review process in a few weeks (it’s already been informally reviewed). Send me your thoughts!